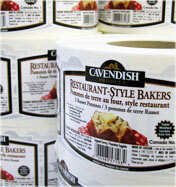 Custom Printed Labels & Products from Maritime Labels & Packaging - Expect More! Combining high quality printing with a variety of materials and processes, Maritime Labels & Packaging is a premier source for custom printed labels, banners, cards, tags, and other sheeted materials. Our custom printed products are sure to combine the function of selling goods and services with the benefits of marketing them to a higher level and assisting in gaining consumer recognition in the marketplace. Pressure Sensitive Labels for products & services, supplied in roll-stock or pieces. Header Cards for those products that need to hang or are difficult to label. Promotional Banners & Wraps for marketing your company, products, or services. Postcards for product and service promotion, or simply to keep in touch. Greeting Cards to help maintain customer relationships. Coming soon! 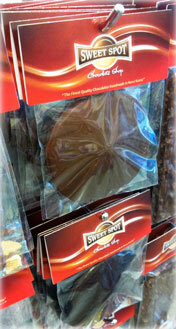 Table Tents ideal for marketing opportunities at trade shows, markets, and retail displays. Coming soon! Bottle Neck and other Tags for added product information or as contest and promotional content. Coming soon! Brochures and letters with availability of personalization for marketing and informational purposes.